It’s clear that SSD’s are far faster than their mechanical counterparts. Using a computer with a spinning hard drive after you’ve been used to an SSD can be tantamount to torture. Sure, it works, but sitting there waiting for items to load can be real drag. One of the worst contenders I’ve seen is Atom (or Outlook if you happen to be using my work laptop - that is SLOW to load). Considering Atom is a text editor and I only really want to open small files, it’s a real pain to wait for it to open so I will often use something else, driving me away from what is a pretty good program (with some plugins added). However, not everything comes with an SSD as standard. My current work laptop is fitted with a spinner and this really slows the laptop down, which considering it has an Intel i5, shouldn’t really be the case (the 4GB RAM doesn’t help either mind). 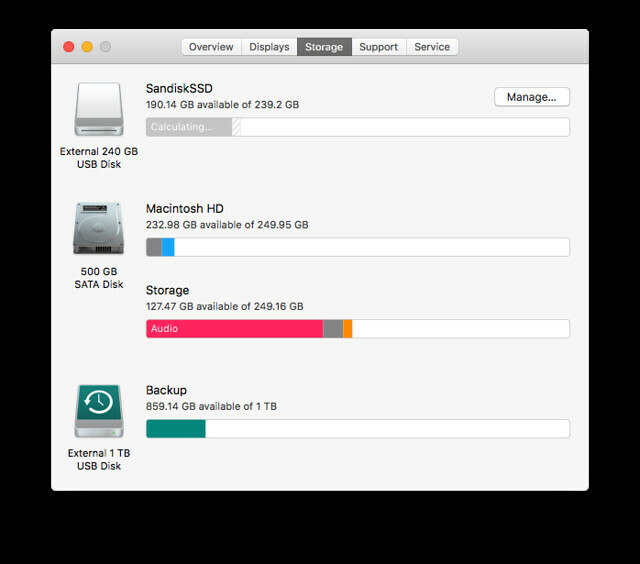 Likewise, my 2014 Mac Mini comes with the stock 500 GB hard drive fitted (like the laptop, it’s a 5,400 RPM 2.5” hard drive). Whilst I can’t do anything with my work laptop (as it’s not mine), I could potentially change the hard drive in the Mac Mini. Or at least I could have done. However, getting to the hard drive of the Mac Mini is fraught with removing it from the case! It’s not the simple case of replacing the 2.5” hard drive like on my Lenovo X220. However, Apple have made it relatively straight forward to boot a Mac from a USB drive and therefore I’m able to install macOS Sierra onto the external drive and boot from that instead. For a while, I was carrying around a Sandisk Portable SSD with me. I’d got the 250GB version and it carried with me my entire music collection, as well as all my documents, pictures, eBooks and even all the projects I was working on at work - it seems 250GB was plentiful. This was encrypted by Bitlocker and worked fantastically well. The device is light and easy to carry and seemed to be better than using a USB stick. However, the big issue arose from having to carry the device and the USB cable! I’d often forget one and not the other. As a USB 3 drive, I didn’t yet have enough cables lying about the place to make it handy. I used to keep a cable in the office and a cable at home so it was fine between these two locations, but anywhere else, I’d run into trouble. Without the cable, I was unable to access the drive and after a number of times of doing this, I ended up not carrying it with me 1. So it was sat and home and ended up being the prime candidate for being used for the external drive for the Mac. This should be the ideal size for macOS to be installed, along with the programs I need and for most of my files. The music and larger files that I might not need access to could be left on the internal drive. I followed the instructions here. It relied on me downloading a copy of macOS Sierra from the App Store which was the first thing that I did when I got the Mac Mini. Once that was done, it was simply a case of following the instructions. This involved download macOS Sierra and then creating a USB install disc. Once that was done, I had to boot from the USB (install disc) and install the system to the USB SSD. 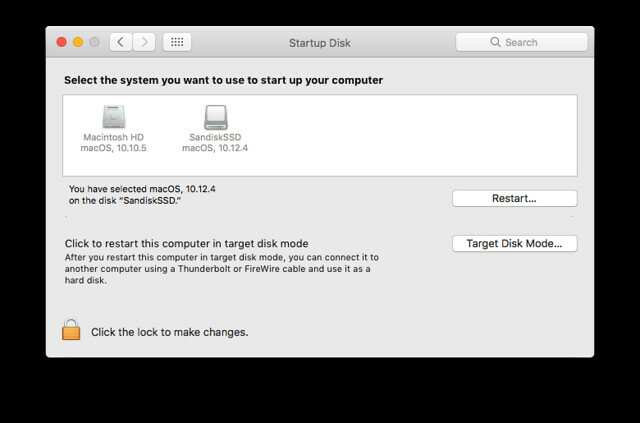 Installation was quick and I was then able to boot into the initial install and select the external SSD as the main boot device in the Startup Disk menu of the System Preferences. When I rebooted, I was then greeted with macOS booting from the SSD! With a bit of editing of partition sizes, I’ve kept the original install of macOS on the computer in case I need it for whatever reason, but I partitioned some of the space for storage of my music and backups. This way, the majority of the space on the SSD can be for documents, programs and settings etc of the system. I guess it wouldn’t be a computer without a few set of niggles. Mainly, it seems that if the screen powers off, the Mac will freeze. I turned off the shut off hard drives option in power settings in case that was the issue but it still seemed to occur, so I’ve just set the time out of the screen to a larger value and it seems to be Ok at the minute. Other than that, there hasn’t really been any issues, at least not with the install, but I have some issues with my Logitech K350 keyboard and the media buttons. I can’t really compare the speed of the system to that of the system prior as I didn’t really use it - I just installed the SSD straight away. However, I know when I had the 27” iMac that there was a potential lag on loading programs, where there doesn’t seem to be on this system. The Mac doesn’t (yet) seem to be constrained by only 4GB RAM and a lower power CPU. In fairness, for day to day office use and browsing, I’ve not really run into any issues with it at all. Time will tell as things go on! Overall, it’s been a worthwhile investment and the Mac flys along. I’d recommend it if you’ve got a Mac Mini (or other Mac) that doesn’t have an SSD and you can’t (or don’t) want to open it up to install one. I don’t realise that mine is running from an external drive at all.